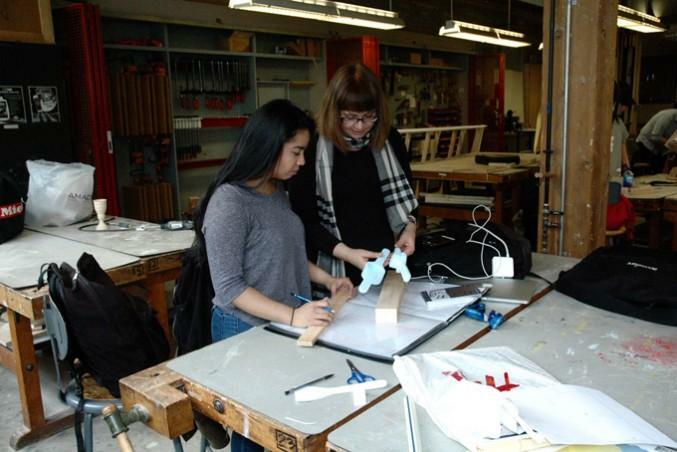 Ryerson’s interior design program is teaching students more than design. Through specialized courses and competitions, the skills taught in class are put towards creating a more sustainable and accessible world. “Design activism,” a concept introduced into the program by associate professor Lorella Di Cintio, is the act of using interior design to create positive social change. Di Cintio started working at Ryerson in 2001 and began informally implementing it into her teachings through lesson themes and assignments, but it officially became part of the curriculum in 2007. Currently, students from first to fourth year are working on final projects which reflect the themes of activism, for example, the criteria of using sustainable materials. Through design activism, students are given the opportunity to contribute to society through different projects centred around various social issues. For example, in the first year Design Dynamics Studio II course, students are taught about sustainability, food security and design solutions. This is most illustrated in their final utensil project which asks for students to design wooden utensils with the goal of them being accessible for everyone. Some pieces are also auctioned off and the proceeds go towards The Stop Community Food Centre. Kelly Warlcroft designed a tea cup and said she is enjoying the project’s element of activism. The first-year students are currently working on their utensils and will be presenting them at their annual showcase on April 21 to 28. Past projects have also been showcased at the annual Interior Design Show, which takes place in January. Along with the utensil project, Di Cintio also organizes field trips, both local and international, centred around design activism. As part of the fourth-year interior design course IRN 700, 12 students went on a self-funded field research trip to Guatemala in fall 2015 for 10 days. The students conducted a design workshop with school children there, and designed products that would help them, like classroom furniture. McKayla Durant said the trip shifted her view of interior design and opened her eyes to the possibilities she had in the field. “That was an amazing trip, I’ve never been exposed to a developing country and as a designer it was amazing to see how many ways I could use my skills to make their way of life better,” said Durant. Over 10 days, the students were asked to create design solutions for their classroom or landscaping. While a few of Durant’s classmates created designs for chairs or desks, she created a vertical garden. Students have also gone on trips to Mexico, and New York — where they built furniture out of sustainable cardboard for people with disabilities — and Ottawa Valley to visit the Algonquins of the Pikwàkanagàn First Nation. The 2008 trip to the reserve came in the midst of Stephen Harper’s formal apology to residential school survivors. “We went there because there was funding available for First Nations reserves to start telling their story and their version of history,” she said. Di Cintio was approached to design them a transportable stage for those story-telling opportunities. On a local level, many students and faculty members also partake in The Stop’s Night Market, which is a cultural fundraiser with all-you-can-eat food, music and art. All the proceeds go towards The Stop Community Food Centre. This year, it is taking place on June 16 and 17 on Sterling road, and design students and professors will design and construct food carts for the participating chefs. Some first-year students will also submit their utensils to be sold at the market, but the focus is on the carts which need to be made with sustainable materials. Durant has participated in this fundraiser and design competition all four years of her Ryerson career. Along with Durant, professor Ruth Spitzer is also designing a cart for this year’s fundraiser and this partnership between the school of interior design and the night market began in 2013. “I think Ryerson’s really leading in these discussions about activism and social change, which is really amazing,” said Di Cintio.